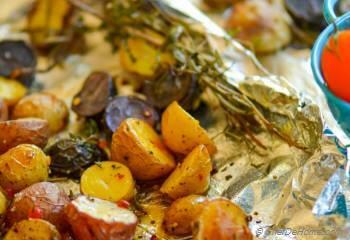 Roasted Potatoes are one of my favorite ways to eat potatoes (and other root vegetables) in fall-winter season. 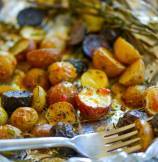 Easy to cook, vegan, and gluten free, roasted potatoes make excellent starchy dinner side. 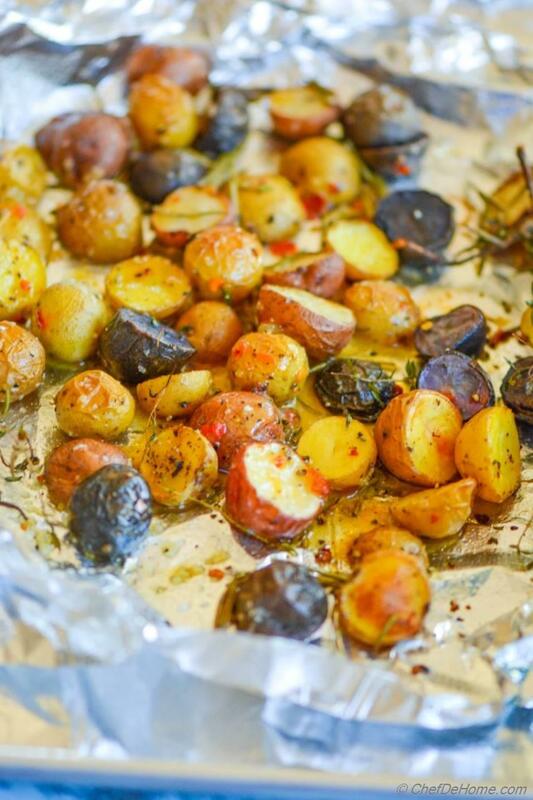 Addition of fresh herbs, like rosemary, thyme, oregano really elevate the aroma and taste of roasted potatoes. 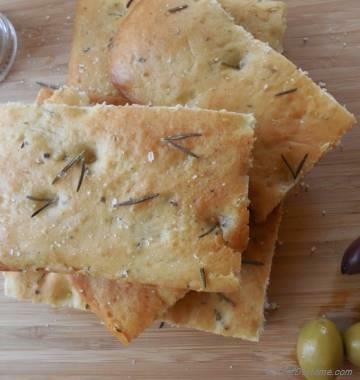 I won't mind serving these as-is on the side with meat or curry dinner. Today, however, I made a sweet, spicy, tangy mustard and chili dressing to go with it. In winters, whenever grandfather was cooking us weekend dinner, those tandoori roasted chicken and curry roasted potatoes ... Rather than cooking with Mom in kitchen, I remember my childhood playing in the backyard, sniffing roasted potatoes and chicken aroma perfumed cold winter fog.... salivating.... waiting for call to eat dinner.... My mom and grandma always said, "Girl, you will cook all your life after marriage", "right now, we want you to enjoy your childhood!" I will always be in debt and thankful to my parents and grandparents for those lovely memories, freedom, equality, abundant love, and excellent food! THANK YOU Moms, I am proud of you. Today, I have roasted potatoes with fresh herbs - rosemary and thyme, and dressed with sweet orange marmalade, spicy mustard and spicy sambal chili dressing. "First add some heat, then balance with sweet!!" A very different taste than my old-favorite curry potatoes... yet old roasted potatoes aroma with an updated sweet and spicy taste.... really enjoyed it!! If you notice, I have roasted potatoes in single serve, make-shift aluminium containers. 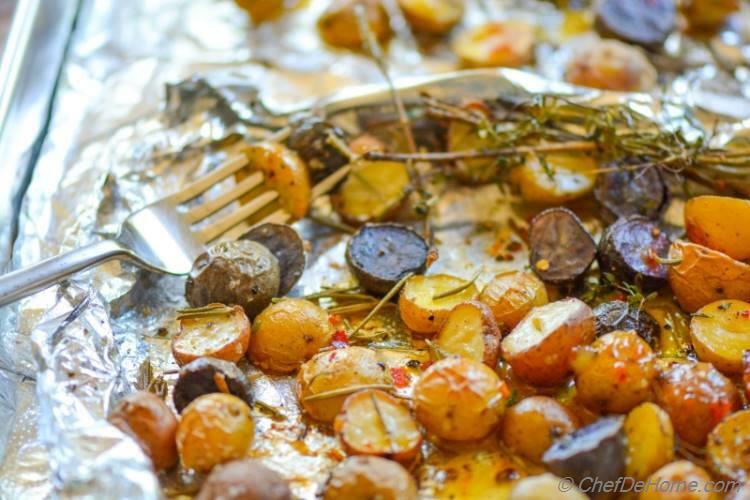 Just cut potatoes, add seasoning and herbs and make pouch of individual aluminum sheets at night. 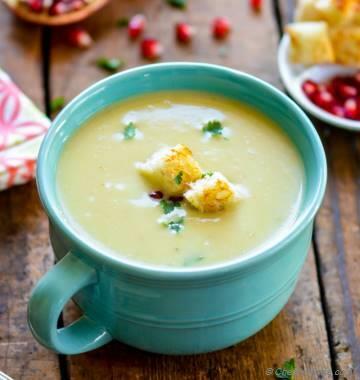 In morning or before the event, preheat oven, open pouches, place on baking sheets and roast. 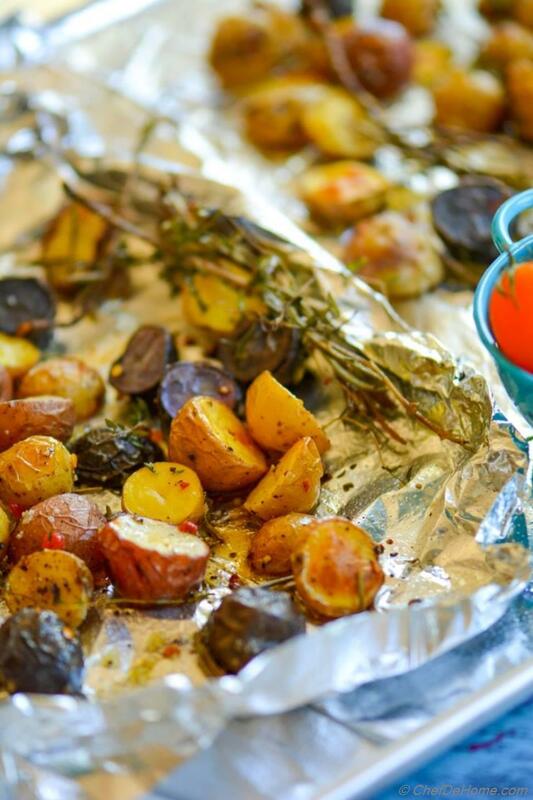 Take out of the oven, drizzle dressing and serve in the same foil pouch. On a side note, I buy these pre-cut aluminum foil sheets pack from Costco. I have never bought a aluminium foil roll since I brought this food-service-foil-sheets pack home. One pack has 500 sheets and cost is about 8 or 9 dollars (don't remember exactly..) I had doubts about spending 8 dollars initially, but later I found it very economical, easy to use, and worth every penny! I use'em for pretty much every thing, from wrapping tortillas, baking, roasting, to packing wraps for lunch for Vishal. No need to tear or cut, just take a sheet or two and good to go. P.S. - This was no brand/product advertisement. Just sharing with you a personal favorite which saves me money and time. 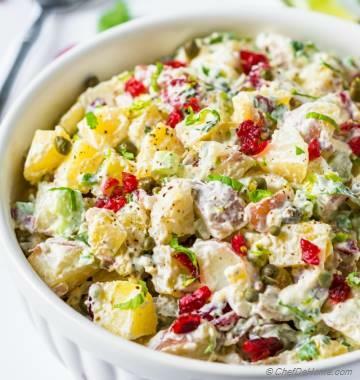 If you happen to have any leftovers (if you can resist leaving some....), mix in some chopped onion, tomatoes, cilantro, salt, and pepper for a delicious Roasted Potato Salsa. Have you ever tried it before? If not, I strongly recommend. Thank so much you for reading to this point. I really enjoy sharing my thoughts and stories with you all and glad to have you try my recipes! Meat and potatoes are always in demand! How about roasting both for easy dinner? Smart Swap Sweet Potatoes are said to have less starch than regular potatoes. You got the idea! right? 1. Preheat oven to 425 degrees Fahrenheit. 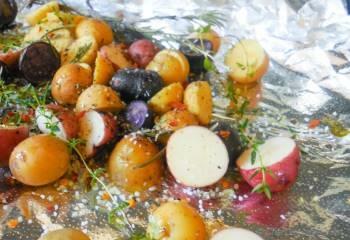 On an aluminium sheet, spread potatoes, top with thyme, rosemary, generous pinch or 2 of salt and black pepper. 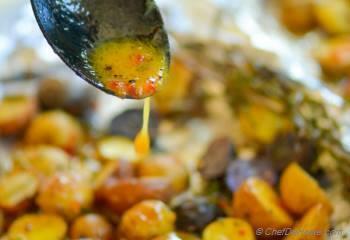 Drizzle 2 tablespoon oil on the top and sprinkle red pepper flakes(if using). Mix-in everything to coat potatoes fully. 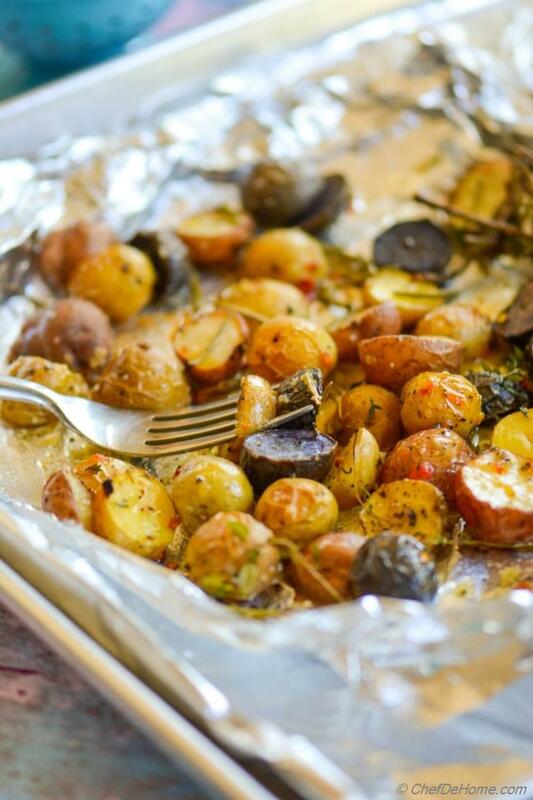 I baked and served individual serving of potatoes in aluminium sheets. This makes very easy to clean the dishes later and looks pretty rustic too! 2. To make dressing, mix all dressing ingredients in a bowl. whisk to emulsify oil, mustard and lemon juice. Set aside. 3. 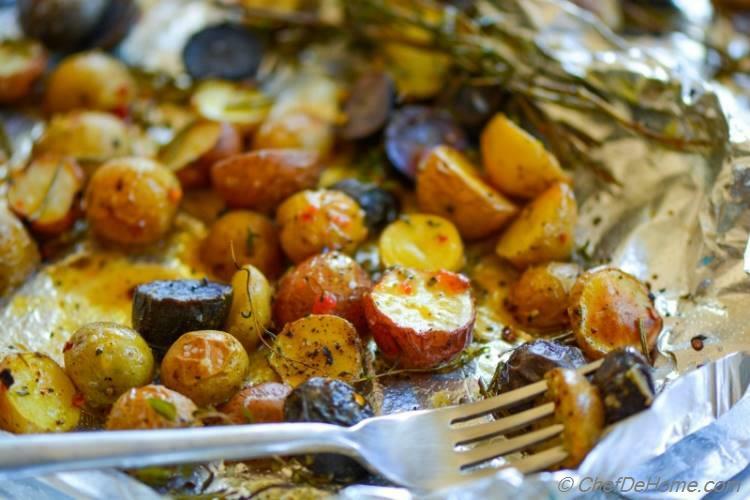 Roast potatoes in preheated oven for 25-30 minutes, until thickest potato is knife tender. 4. 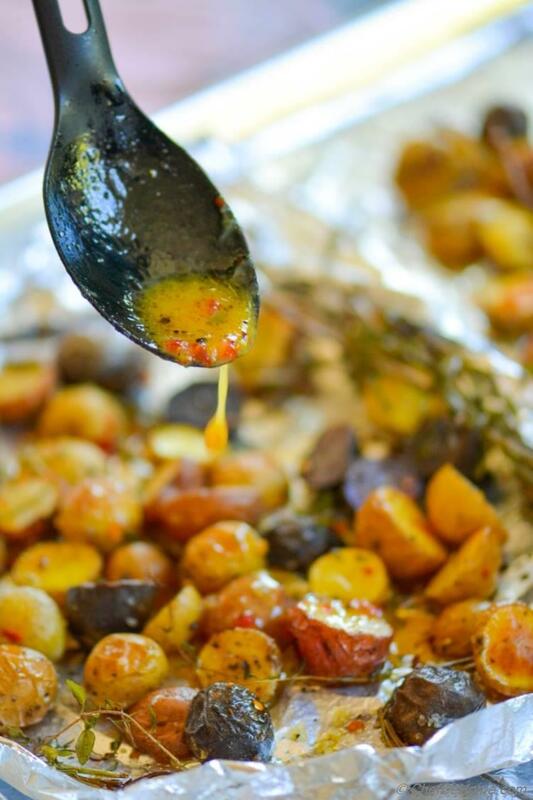 Drizzle dressing over hot potatoes just out of the oven. 5. Serve immediately. If planning to serve later, don't add dressing. Re-warm potatoes before serving, add dressing and then serve. If you can't find orange marmalade/jam, use zest and juice of 1/2 orange and 1 tbsp honey. Use of chili paste in dressing is optional but recommended. It adds a slight hint of hot-pepper here and there which makes you keep going back for one more bite! A sure way to clean dinner plates!! I'm sometimes very thrifty in making dressing. Above recipe makes about 1/3 cup of dressing, just sufficient for potatoes. However, recipe doubles easily, you can always make extra and use leftover for a salad. love potatoes!!!!! roasted, fried, or baked , bring on!